Are you vexed with lifeless, limp hair and are looking for a product that can transform it completely? Well, then, you need to try Himalaya Herbal shampoos. 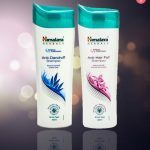 One of the most trusted hair care brands, Himalaya never fails to provide desired results with its wide range of products. Be it hair fall, dryness, dandruff or breakage, you can be assured of quality results in just a few washes. 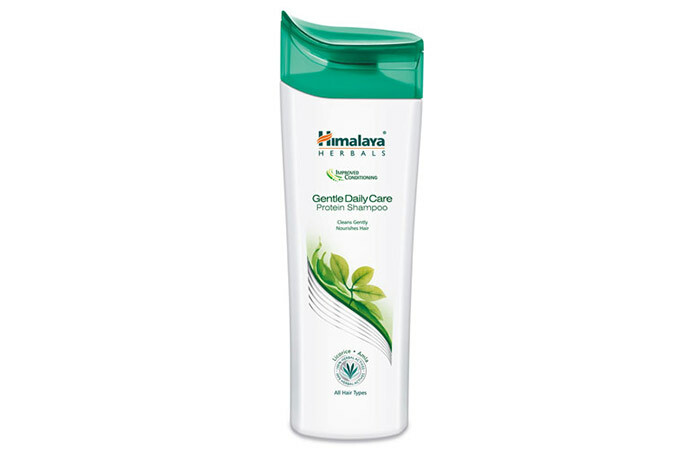 Here is a list of the best Himalaya Shampoos available in the market right now. Check them out! The Anti-Hair Fall Shampoo reduces hair fall and stimulates your scalp to generate new hair. Additionally, this shampoo strengthens your roots. It reduces breakage by refining the hair texture. It is made with a 2-in-1 formula that reduces hair fall and provides nourishment to hair shafts. It also contains essential herbs that improve the condition of your hair and prevent hair discoloration. This gentle daily shampoo is made with a natural foaming agent that is gentle on your scalp and hair. Since it is free of chemicals, it prevents your hair’s natural proteins and keratins from getting washed away. The foam smoothens your hair and cleans your scalp efficiently. This shampoo regulates the normal oil secretion and prevents scalp residue from building up. It contains natural ingredients like amla, chickpea, beach almond, licorice, and henna that help in nourishing and strengthening your hair. Dandruff can ruin the look of your hair. And a dry scalp can cause dandruff. So, it is essential to use a shampoo that can hydrate your scalp to prevent any dryness or flakiness. Himalaya Anti-Dandruff shampoo controls dandruff effectively by providing nourishment to your hair shafts. The herbal ingredients like tea tree oil, aloe vera, and chickpea help in removing fungus that can cause dandruff. This shampoo claims to strengthen your follicles and moisturize each hair strand from the root to the tip. 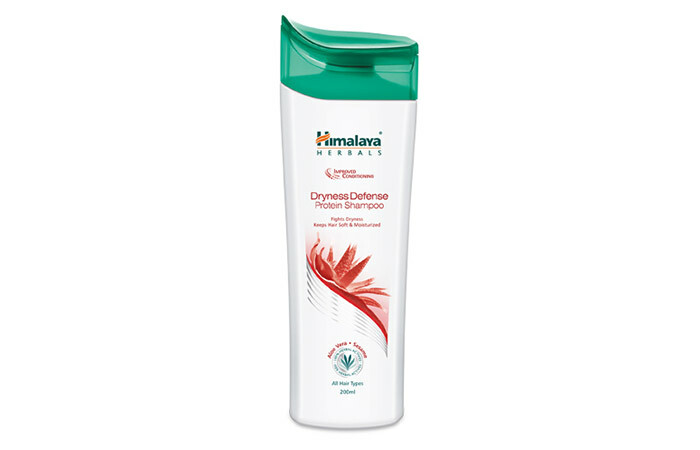 If you suffer from dry and frizzy hair, try Himalaya Damage Repair Protein Shampoo. It contains a natural blend of almond and chickpea that provides nourishment and intensely conditions your hair from the root to the tip. It also contains fruit extracts that act as antimicrobial agents. It provides proteins to your hair follicles and prevents breakage. These organic ingredients leave your hair feeling soft, smooth, and healthy. 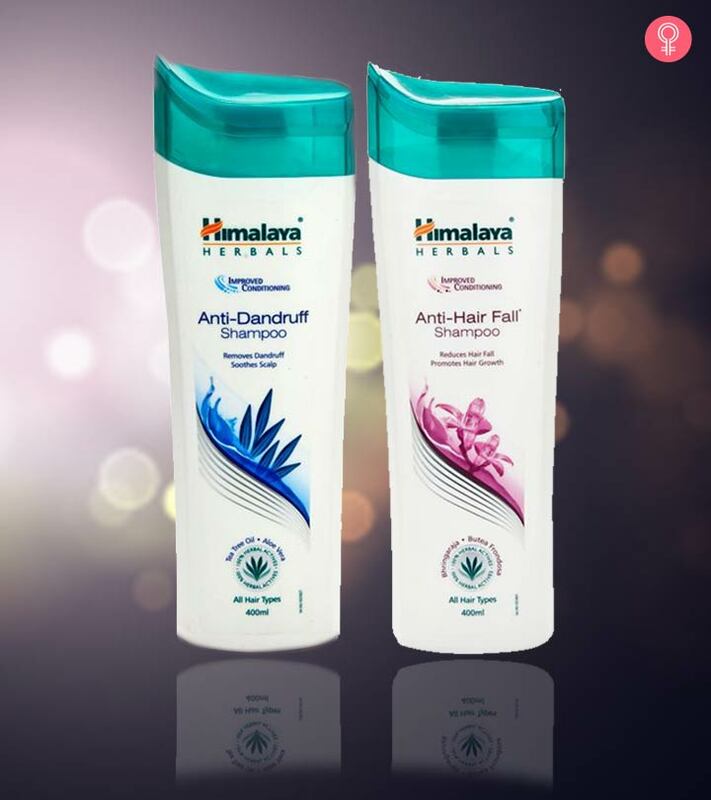 With Active Nourishment technology, Himalaya Dryness Defense Protein Shampoo promises to intensely nourish and condition your hair to make it soft, smooth, and silky. It contains natural ingredients like aloe vera, chickpea, and sesame oil that help in reducing dryness. It claims to provide moisture to your scalp and impart rich proteins to your hair follicles. It makes your hair manageable and eliminates tangles. It strengthens your hair, thus preventing further breakage. Lack of moisture can cause several hair problems. 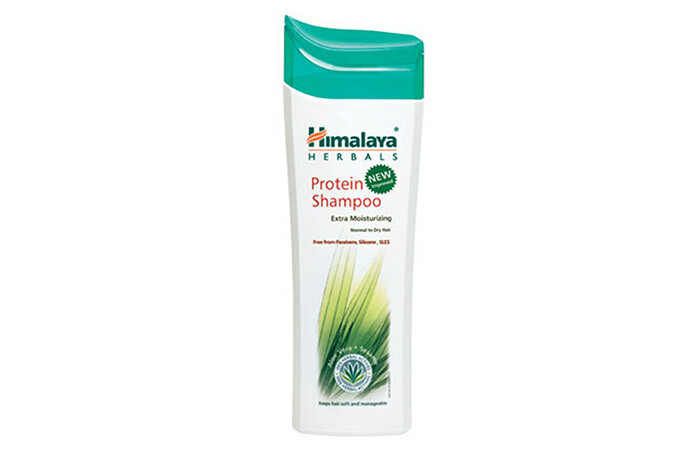 To avoid this, use Himalaya Protein Shampoo as it contains the necessary nourishing and moisturizing components. It contains protein-rich herbs like aloe vera, licorice, sesame, and fenugreek that help in strengthening your hair, reducing hair fall, and controlling damage. This shampoo leaves your hair noticeably moisturized, adding a natural shine to it. It cleanses your scalp and promotes hair growth. The medicinal ingredients in this shampoo will transform dull, dry, and frizzy hair into soft, shiny, and healthy hair. With these shampoos, perfect hair is just a few washes away. What are you waiting for? Try these shampoos and share your experiences in the comments section below.